As you arrive to work one day it has been discovered that your chief financial officer or executive director hightailed it out of town with over $1 million of your company’s money. The local television and radio media has heard as well and is calling to get a statement. What do you do next? 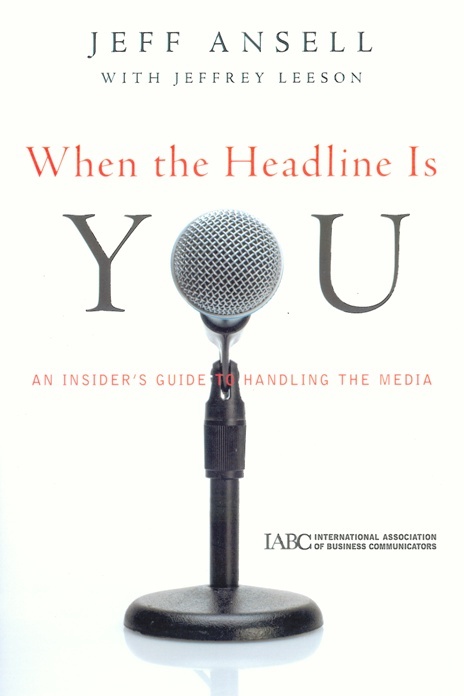 Jeff Ansell, author of When the Headline is You: An Insider’s Guide to Handling the Media provided tips on dealing with the media when a crisis arises in your company or organization. Jeff states that the process of answering media questions is like learning a new language and if you answer in a manner of uncertainty, your company can be one sentence away from disaster. How is a company spokesperson supposed to know what to say and when to say it? One thing is certain: when you craft a statement for the media, make sure that all the sentences in the statement can stand alone if the press decides to select a short sound bite. You do not want to have messages that can be pulled out of context and be misconstrued by the viewer or reader. Should your company/organization say “We are sorry?” The legal department at your company may not allow it since making that statement reveals guilt, fault and/or liability. What you really should address is how you would want your stakeholders to perceive your company/organization during the crisis. You have to provide the value compass which is a collection of words to use so your stakeholders sees your organization as accountable, trustworthy, concerned, empathetic, responsible and honest. – “It was an accident” answer is honest, but the truth is not good enough and your organization/company will have to do more. – “We are sorry and will work with state and environmental officials to work with cleanup” – more words match up and works better; Best to use a problem-solution formula. You create a one sentence construct and frame the problem and provide a solution in same statement. Jeff also advises that when bad news strikes, you have to be just as upset as others. Using the statement, “We will investigate” lacks credibility since you are perceived as being the wolf protecting the hen house. Do you want to be quoted on a story like this? Jeff suggests that anytime you do not want to answer a question, simply explain why.